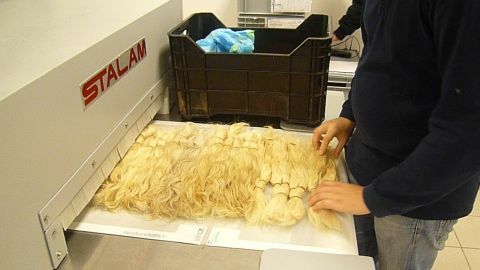 Stalam has developed a specific Radio Frequency machine for the drying of natural (human) hair after the bleaching and colouring process. 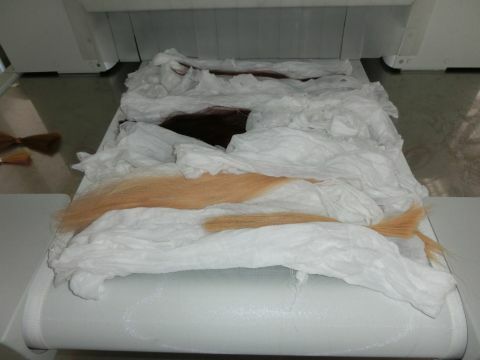 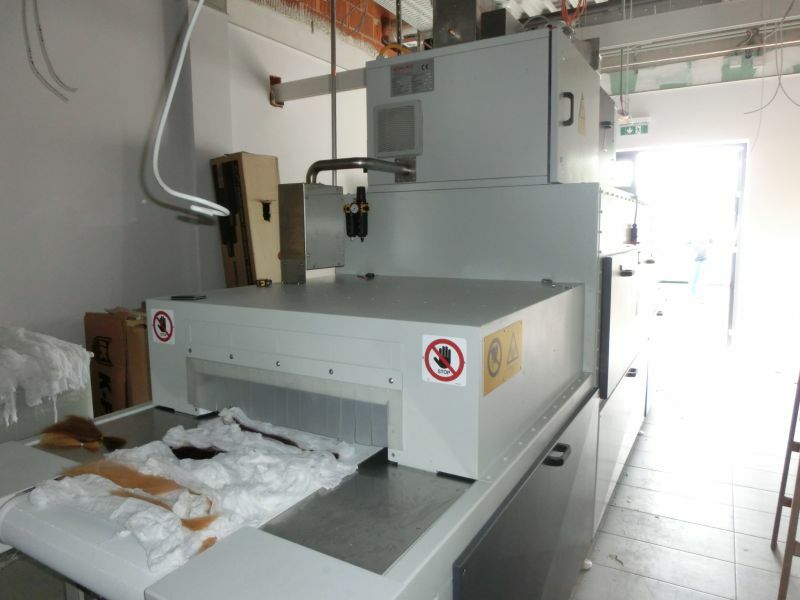 The machine aims at meeting the needs of hair extensions and wigs producers in terms of product quality and drying speed. 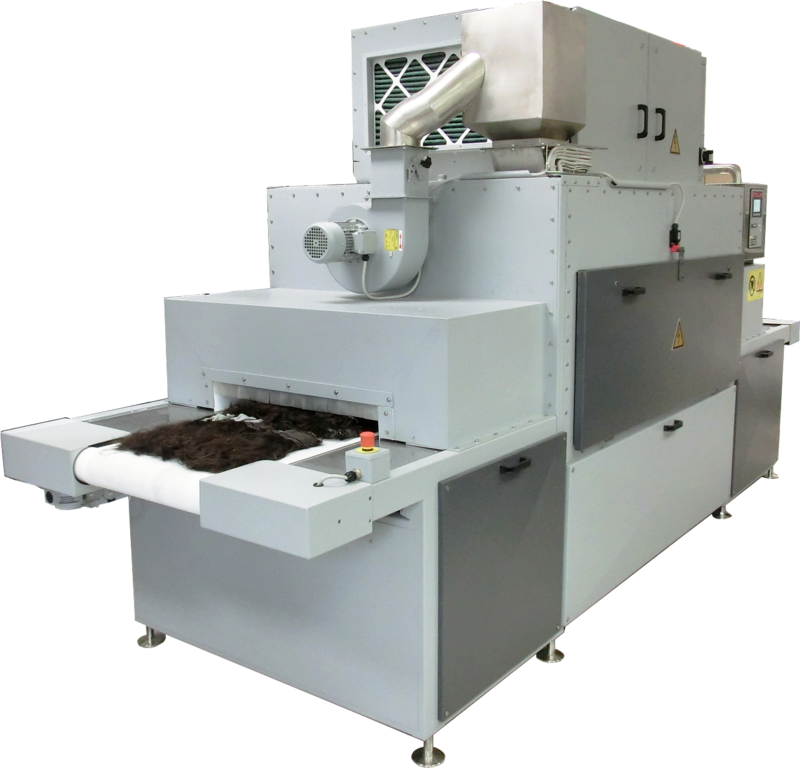 The RF technology has proven to be far superior compared to the conventional drying methods also in this peculiar application. 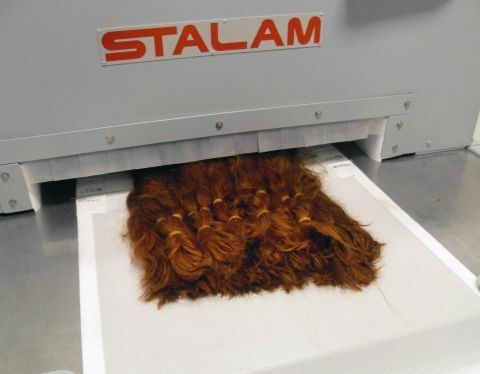 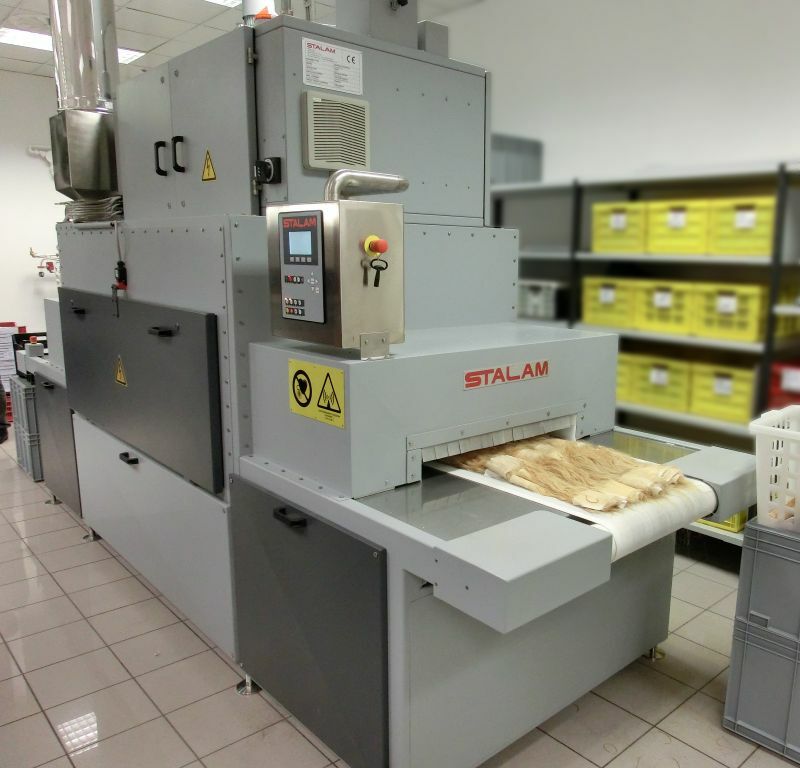 Stalam’s RF drying system provides a gentle dielectric heating of the hairs by means of an electromagnetic field at 27.12 MHz, inside a temperature-controlled tunnel with minimal air circulation. The electromagnetic energy is absorbed in proportion to the water contained in the hairs, so that by controlling the RF power it is possible to bring the moisture content down to the desired residual value. 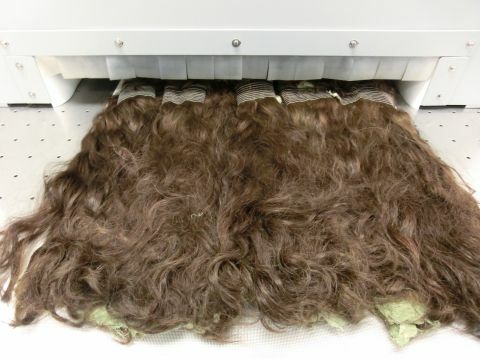 As the RF energy is only transferred to the wet areas, the drying process is not affected by the hair fineness, texture or the size of the bundle, even where they are held together by cords, elastics or sewn on a support, so that all parts dry quickly and uniformly. The complete process takes just a few minutes, with no over-drying, no wet spots, no hair entanglement. 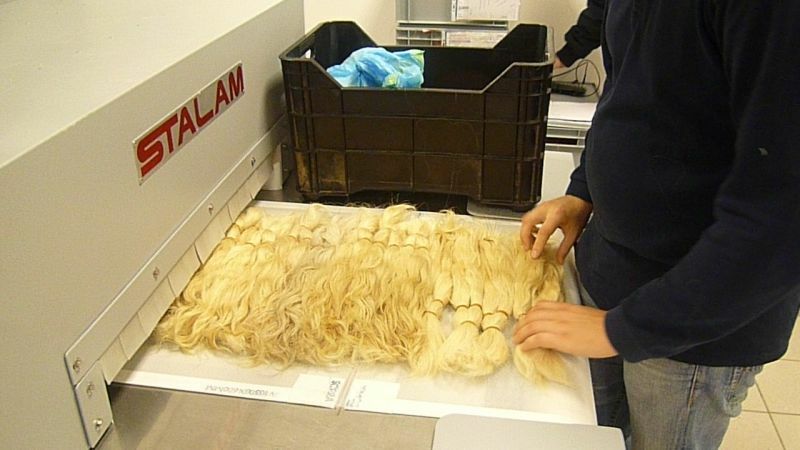 The conveyor belt, where the hair bundles are laid down for drying, has a fine-mesh structure to allow for easy evaporation of the water, yet preserving the hairs physical integrity. 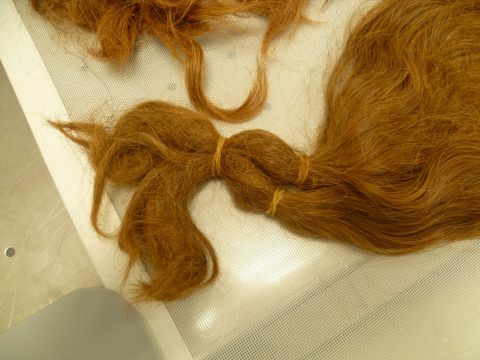 The low temperature eliminates the risk of thermal degradation of the hairs, that retain their biological, aesthetic and functional characteristics. As there are no energy losses to the environment (the electromagnetic field heats up the water, not the air) RF drying is also energy-efficient and economically convenient.